Who doesn’t love comedy, am I right? We as a nation have been infatuated by romance, emotion and comedy. I’m all for comedy though. But not a lot of people took up stand up comedy back in the day, and even if they did, how would we know? Today, I can watch Standup comedy performances on YouTube within minutes! With YouTube, You, me and everybody else has the pleasure of sitting in front of a computer, accompanied by some burgers and pizza and maybe a bottle of coke (or beer, you alcoholic!) laughing hysterically, watching these guys eke out the humour from everyday situations with family, neighbours, relatives, friends and even strangers with some of the best Standup comedy performances on YouTube. 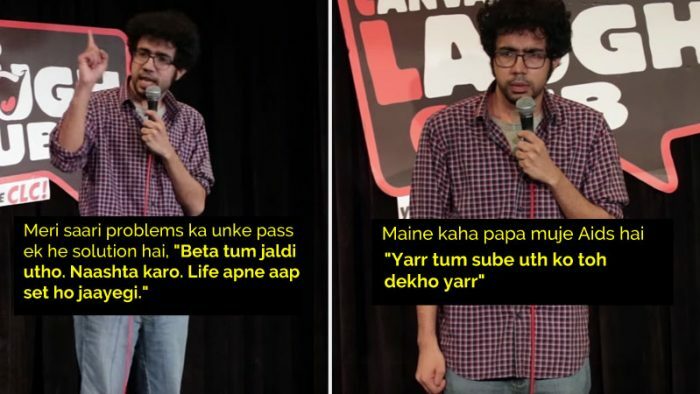 I’m simply glad that I can watch Zakir Khan explain what a ‘Sakht Launda’ he is, or Biswa Kalyan Rath talk about English and Reproduction, or perhaps watching Adiiti Mittal turn one of the most uncomfortable words in India into a laugh riot. We’re simply lucky! Check out some of the best standup comedy performances on YouTube to turn that midweek frown upside down. Insaan bohot acha bolta hai. Hasaata hai. Video funny hai. Ye judgement nahi ye fact hai. One of the most well known performers in the stand up comedy circuit in India, this is one of Zakir Khan’s most watched and appreciated live performance with over 5 million views. 3. Abhishek Upmanyu’s Delhi, Mumbai and Rich People. The cultural shock of being a Delhiite in Mumbai sprinkled with a generous garnish of ‘bhen****s’, Abhishek Upmanyu’s performance in ‘Delhi, Mumbai and Rich People’ is one of his best and most watched video on YouTube with 3.8 million views. 4. Kenny Sebastian on Why Dosa is amazing. Philosophy through Dosa is not something most Stand up comedians can talk about, and there are certainly no comedians who can make you laugh by talking about philosophy and dosa. And then there’s Kenny Sebastian. “Under Shoulder Boulder Holder”, “Miss your boyfriend is showing” and so many other euphemisms for the very innocent, innocuous bra.” YES THIS IS THE DESCRIPTION OF THE VIDEO AND I DO NOT NEED TO WRITE ANYTHING ELSE EXCEPT FOR THE FACT THAT THIS VIDEO IS HILARIOUS. A step by step analysis of the President’s salary and how little is too little, and how much is too much? Sourav Ghosh answers all the questions you did not have about the President and his salary. Atheism and Religion are topics that are best avoided in India, and making jokes about Religion? OMG. This one is gonna make you crack up though. Not only is it funny, it just makes SENSE! 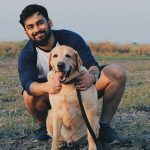 A comic analysis between pooping on an Indian Railways toilet and pooping on an Indian Airways toilet. Just Kidding. Abish Mathew is intrigued by the contrast between pooping on a Train Vs Plane! The founder of East India Comedy chimes in on the conversation about Dentists and Engineers and hilarity ensues. What are your favourite Standup comedy performances on YouTube? Do let us know at team@socialsamosa.com. #GlobalSamosa Hey Charlie, a hard-hitting drug awareness campaign!